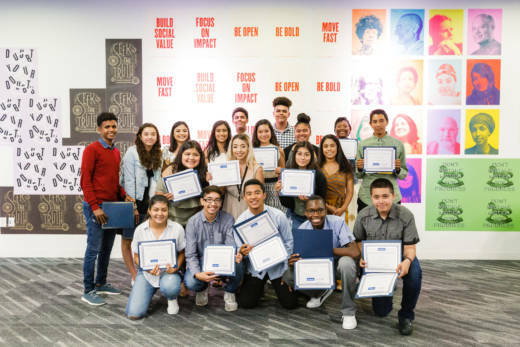 For the 7th year in a row, Facebook has opened its doors to high schoolers from neighboring communities for a six-week summer internship. The purpose is to expose students to the tech industry. 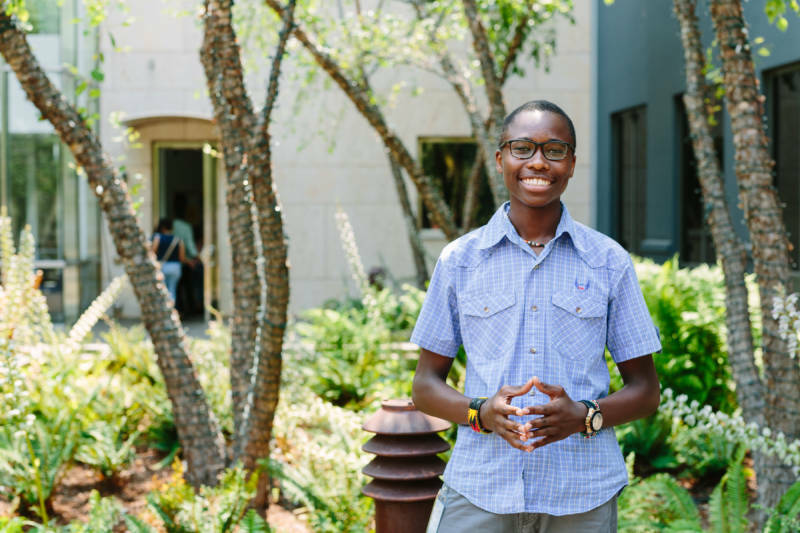 At the graduation ceremony held at Facebook headquarters earlier this month, 16-year-old Alan Kagiri never thought being a Facebook intern was possible. “Growing up in Kenya I never thought, first, if I would be able to come to the United States, and then, [if] I would be able to intern at Facebook," said Kagiri. Facebook Academy chose Kagiri out of more than 150 applicants. And it's easy to see why. He’s full of personality, charisma and drive. Kagiri is a student at Sacred Heart Prep and lives in East Palo Alto with his mother. He is the youngest of 9 brothers and sisters. He wants to be a Software Engineer but he wasn’t always sure it would be a good fit because there aren’t many people in the tech industry who look like him. “Prior to coming here, I just thought [a Facebook employee] was a stereotypical young male who just codes all the time," said Kagiri. But his thoughts changed once he got to Facebook, networked with people from different departments and saw how diverse the company is. And he learned a new skill. “You have to advocate for yourself, you have to have that self-advocacy and say this is what I need, this is what I want," said Kagiri. Kagiri said he learned that qualities such as friendliness, integrity and having a good work ethic are characteristics everyone will always want to work with. Facebook Academy's Program Manager Agustin Torres said since the start of the program, some alum have been accepted to Ivy League Universities and three have been hired by Google and Uber, but none have been hired at Facebook yet. Torres said the confidence level has improved in all 19 students since the start of the program. His goal is to keep in contact with all Facebook Academy Alum and to make sure they are on top of important school deadlines, like applying for college. “You guys deserve to work in tech and now you know that there’s a variety of careers that exists at Facebook, in the tech industry," said Torres. Kagiri hopes to possibly come back as an employee for Facebook for himself and to honor his mother’s sacrifice, who has worked extra shifts to pay for her children's education and to have healthy food at home. “If there’s anything that I can do to be able to give back to her, then I will take every opportunity possible," said Kagiri.